1 edition of --Historical encyclopaedia found in the catalog. Add another edition? 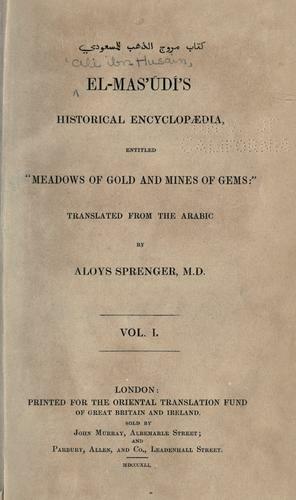 entitled "Meadows of gold and mines of gems"
Published 1841 by Printed for the Oriental Translation Fund of Great Britain and Ireland in London . 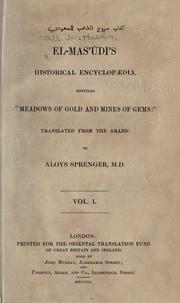 Meadows of gold and mines of gems.